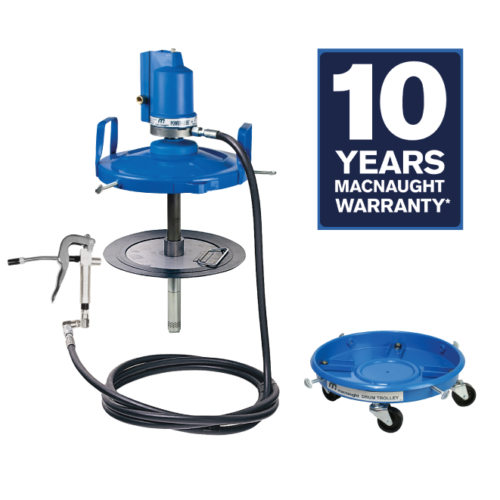 Macnaught’s 50:1 air-operated grease pumps are excellent for high-volume grease applications requiring continuous high-pressure grease output. 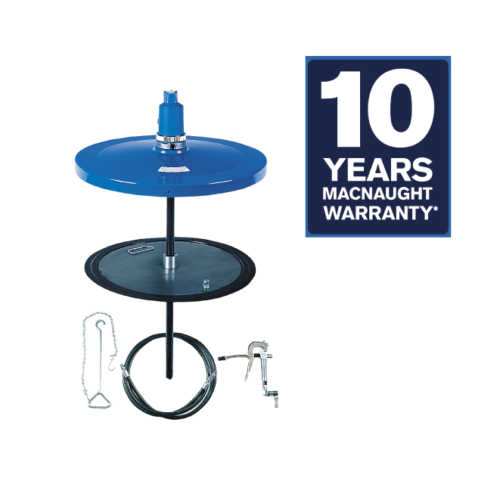 These portable grease dispensing systems are engineered for 35 lb., 120 lb. and 400 lb. containers. They are equipped with a low air consumption motor that doesn’t need to be lubricated due to the use of modern polymer materials. 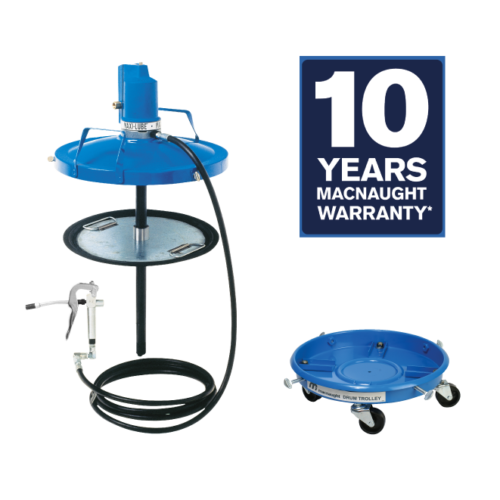 Users will save on power and avoid the oily mist and mess typically associated with air-operated equipment. Macnaught pumps are suitable for a wide range of heavy-duty applications and come complete with the industry’s leading 10-year warranty.